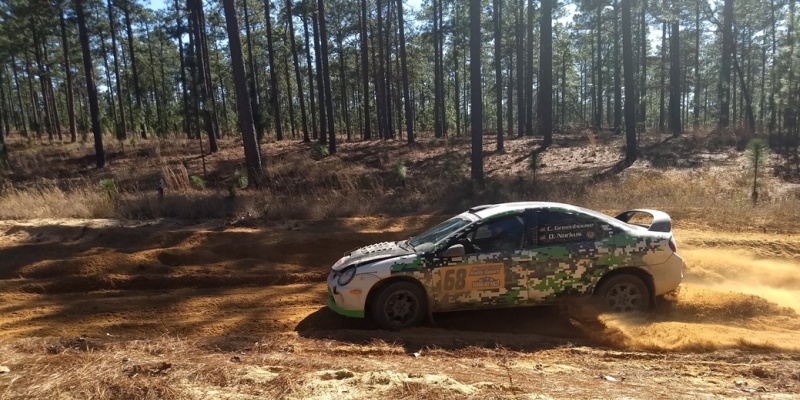 Chelsmford, MA: Narrowly missing a spot at a Regional Podium on Friday, the team of Erika Detota and Mary Warren left New England Forest Rally disappointed and hungry for another shot. The 25th anniversary running of New England Forest Rally, July 17-18 was filled with excitement, competition and some unfortunate twists for many teams including Detota & Warren. 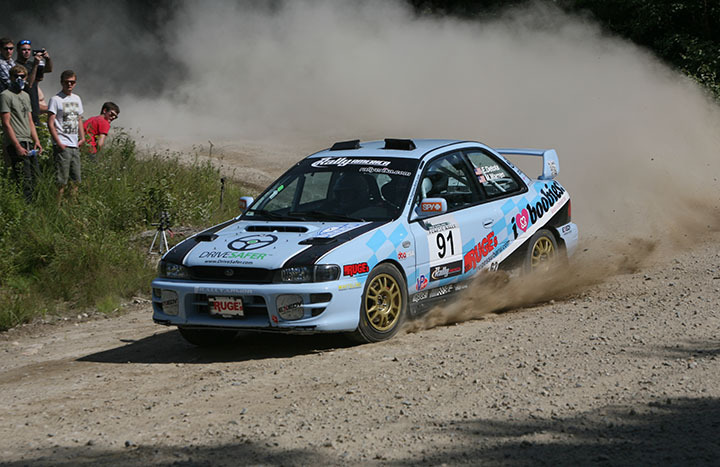 The event featured more than 100 stage miles over two days of competition, which included a variety of stages ranging from jumps, smooth, fast, flowing to narrow and rough road conditions. Detota and Warren placed high in their regional group 2 class on the first and famous stage road, Concord Pond. “Such a fun run through” said Warren “we wish we could do it again.” With confidence going into the next section the girls where surprised to be behind the pace on South Arm, a notoriously rough test, while trying to avoid rocks. 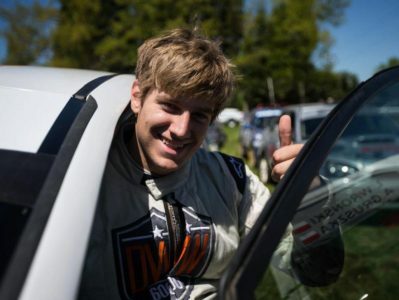 With only one stage left to They suffered the rest of the day trying to catch the field and, they wound up 5 6.4 seconds behind the podium in their 2 wheel drive class for Friday’s New Hampshire Rally. Over 1/3 of competitors were scored with a DNF (Did Not Finish), this was Erika and Mary’s first time having to hand in their time card before the finish. “It isn’t an enjoyable end to any event, especially when our times on the stages were getting better. ” said Warren. The team will be working to rebuild and continue their pursuit of the Canada/USA Eastern Championship at Tall Pines Rally in Bancroft Ontario Canada Nov. 27-28th. Team RallyErika is supported by Ruge’s Subaru of Rhinebeck, NY, Keep a Breast Foundation, DriveSafer LLC, Rally Armor, Spy Optics, Exedy Racing Clutch, DBA USA and Whiteline.